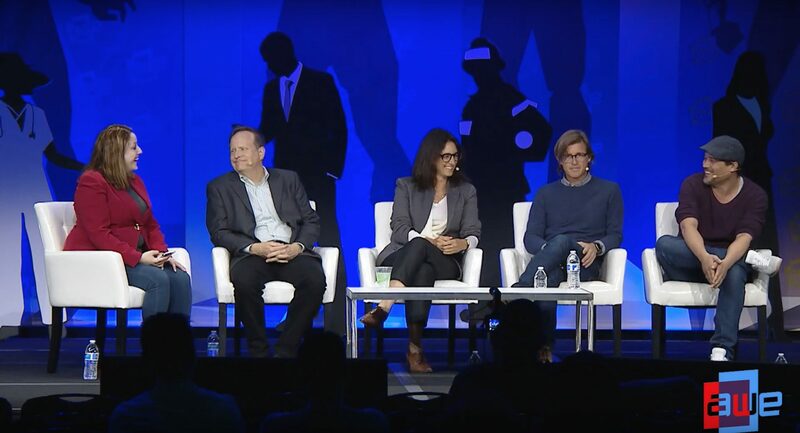 Co-founder and Creative Director, J.Lee Williams sat on Augmented World Expo‘s panel on Entertainment in the World of XR on May 31, 2018. AWE is an augmented reality (AR) and virtual reality (VR) conference and expo. The 9th Annual Conference held in Santa Clara, California with the focus being “why every organization, startup, and investor must get into XR (short for AR, VR, MR) or be left behind”. Visit AWE’s website for full details and information at augmentedworldexpo.com.